Lock in a great price for Hotel Tennis International – rated 9 by recent guests! The property is very nice and convenient. Rooms very clean and comfortable for 3 or 4 people. The hotel owners are brilliant and super nice to help on any need you have. The staff (especially Laurent) were unbelievably helpful. He put our freeze pack in the freezer every night. Instead of showing us a short cut to the town he walked with us. Nothing was too much trouble. 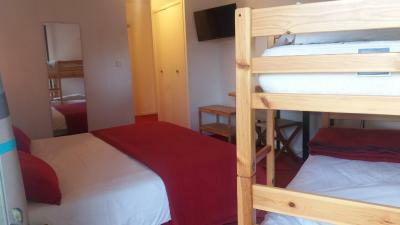 We have taken the cheapest room, so we couldn`t expect more than we have paid. 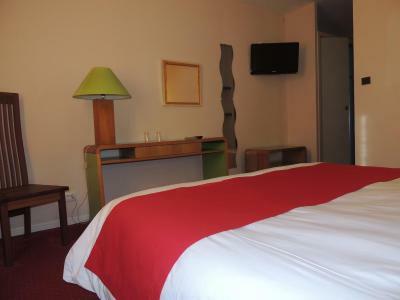 The most wonderful was the personal of the hotel: very friendly and English speaking. A great thing is the swimming pool besides the hotel. Clean room with air-conditioning and shutters to impede light to enter. In addition the room had a nice little terrace. 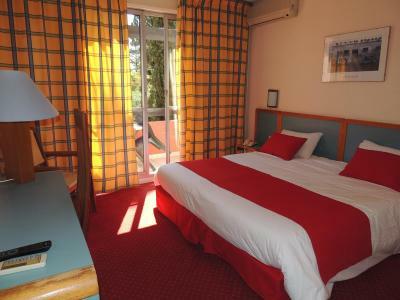 The rooms are very well maintained and clean. There is also a swimming pool but we did not use it. For people interested in visiting the naturist village it is less than a half hour walk. L'accueil, la gentillesse, le cadre, le calme, la propreté et le rapport qualité prix. 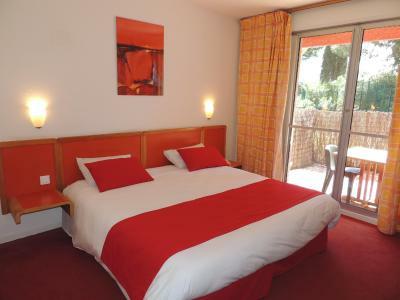 One of our top picks in Cap d'Agde.Surrounded by pine trees at the foot of Mont Saint Loup, the Hotel Tennis International features easy access to the all the town's facilities from a peaceful location. It is located 0.7 mi from Casino Barrière. 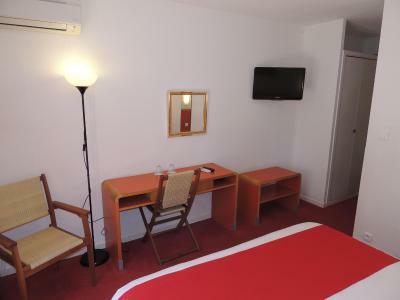 The Hotel Tennis International offers comfortable rooms equipped with modern amenities such as free Wi-Fi internet access. Guests have free access to the hotel’s tennis courts and the 82 foot swimming pool, which is open 1 June to 30 September. Only 10 minutes from the main port and the shops, next to the International Tennis Center, the Hotel Tennis International is only 1.2 mi from the nudist area where you will find sandy beaches. 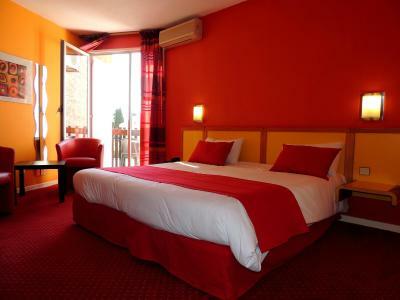 When would you like to stay at Hotel Tennis International? This room features free Wi-Fi access, a private bathroom and a terrace. This room features free Wi-Fi access, a private bathroom and a balcony. House Rules Hotel Tennis International takes special requests – add in the next step! Hotel Tennis International accepts these cards and reserves the right to temporarily hold an amount prior to arrival. Guests are required to present the credit card used to make the booking upon check in and use it to make the payment. Please note that this hotel does not accept American Express Credit cards for payments or deposits. Please note that all guests under the age of 18 years old must be accompanied by an adult when staying at this property. Breakfast seemed expensive for what was on offer. Breakfast is not included and it is only until 11 plus a fridge is not in the room. Pool could be a bit COOLER to be refreshing in that hot hot weather. The bed itself was OK, but the pillows were very bad: flat and hard, so we hadn`t good enough sleep. Staff cool, relaxed and friendly.